I’m a huge fan of the Mondo Macabro DVD/Blu-ray label. Pretty much every release they have is insane in it’s own way—completely off the bonkers chart—that I would have never known about if not for them releasing it. Plus those red DVD and Blu-ray cases they tend to use are sweeeeet. A few years back, while looking for Christmas related horror, I stumbled across their release of the sleazefest slasher Don’t Open Till Christmas, purchased it, and popped it in. As soon as the 3 or 4 preview trailers for other Mondo releases started my eyes widened with that “WTF?! ?” look. I knew I’d be spending a lot of money on Mondo products. That’s where I discovered Alucarda. 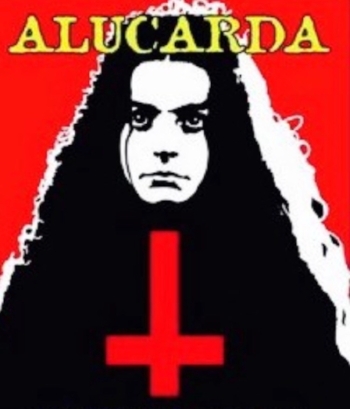 After doing a bit of interweb sleuthing, I was pleased to find that Alucarda director, Juan López Moctezuma was a producer on Chilean director Alejandro Jodorowsky’s avant-garde epic, El Topo, and first collaborated with Jodo a year earlier in 1967. He would go on to make only a handful of films, including four horror films, with Alucarda being his most well known of the bunch. Even seminal Mexican director Guillermo del Toro is a fan, who noted his influence on Mexican genre fare (“Horror in Mexico could be done in a different way than just masked wrestler movies with tongue in the cheek”). Alucarda opens with a rather disturbing birth scene before quickly fast forwarding 15 years, where Justine and Alucarda (two teenage girls living together at a convent) are galavanting around in the forest and stumble upon a band of mysterious gypsies. After getting spooked by one awesomely creepy, hunchbacked Pan lookalike mofo, they find their way to a nearby tomb which is actually first shown in the film’s opening and revealed to be the birthplace of Alucarda. Once there, they unleash a demonic force after opening a casket within the tomb and soon start to behave differently, eventually making a blood pact (with the helpful guidance of our Pan-like, hunchbacked gypsy friend) and becoming the Sisters of Satan! As they fully embrace the path of demonic hedonism, they mock the convent with satanic. chants and scorn its sacraments with perverse behavior, sending the nuns into a disheveled frenzy. Justine soon falls ill and a doctor is called to assess her condition, much to the dismay of the convent’s nuns, who prefer spiritual healing. After the sudden outbreak of blasphemy from the girls, the convents leader, Father Lazaro, is certain that the only solution to all of this is an exorcism. When things go wrong, Alucarda and Justine wreak total destructive chaos on the mortified inhabitants of the convent, culminating in what could only be described as a sort of “Black Metal” version of Carrie. There’s a lot going on in Alucarda, and Juan López Moctezuma isn’t afraid to exploit a variety of topics deemed taboo for the mainstream of 1978 (or 2017 for that matter). Demonic possession, Satan worship, vampirism, sacrilege, murder, orgies, clerics shown as tyrannical evil doomsayers, exorcisms, and defiled religious imagery are all utilized — showing up front and center within the 85 minute runtime. 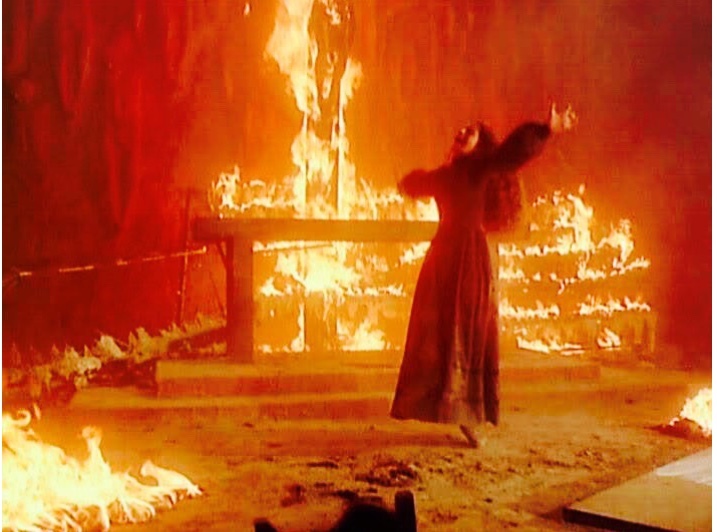 After a quick rush out of the gate, Alucarda becomes a slow buildup, with A LOT of screaming throughout the film, and eventually just EXPLODES in the last 15 minutes, with the aforementioned “heavy metal Carrie” ending that comes plunging toward the viewer like a grand piano being dropped from atop the Empire State Building. I definitely see the “Devils meets Exorcist” comparison, and if you liked this, and want more, check out the Mondo releases of Satánico Pandemonium and Don’t Deliver Us From Evil, and of course, track down Ken Russell’s The Devils as well! Trailers, Photo Gallery, and New subtitle options along with Spanish/English language choices.